Perfect for Hiking and Emergency Kits. Ensure a Supply of Fresh Water Wherever You Happen to Be! 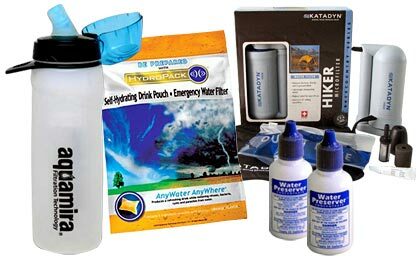 Out in the wilds it�s not easy to take all the water you might need for an extended stay. Water filtering systems and purification tablets can keep a sustainable supply of potable water available for you and your family.